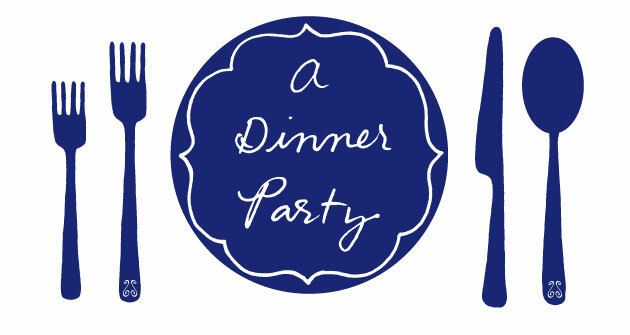 dinner party: feeling full? eat this. After a wedding (with mac and cheese and fried chicken stations), two dinners out with friends (with very fine cocktails), and a work event involving a whole roasted pig (oy), my stomach needed a break. Other than nothing at all, what do you eat when you've had way too much to eat? Salads? Yawn. Tofu noodles? Blegh. I found the solution: chilled cucumber soup. Yes, I know it's time for sweaters and boots and roasted chicken and root vegetables and apples and all things fall. But trust me, make this before the weather really turns. Creamy and smooth from a generous amount of yogurt, and flecked with bits of fresh dill, this beautiful green soup just as soothing as its hot counterparts. It would make an elegant first course, or can be eaten on its own—especially if you've consumed one too many of anything. Adapted from the fantastic Vegetarian Planet, one of my go-to cookbooks since college. In a blender, combine cucumbers, 2 cups yogurt, shallots, oil, lime juice, and 4 Tbsp. dill. Puree until smooth (you can do it in batches if your blender is too small). Add salt and pepper to taste. Pour into bowls and garnish with an extra dollop of yogurt and a few dill sprigs. I love cucumbers. And with the dill and yogurt? Yum. That said, I am strongly considering installing a fried chicken station in our apartment. Let's do it! We'll be so fat we won't be able to get through the front door, but when you have a fried chicken station, why leave? Can you do jalapeno poppers in a fried chicken station? You know, to get some greens in the old diet.